Do you have gum disease? Gum disease is a common problem among many people, and should be carefully treated to maintain the integrity of the teeth and gums. Without proper periodontal care, you could develop loose teeth, lose some of your teeth, experience gum recession or experience bone loss, among other problems. With regular periodontal maintenance in Troy, MI, you can ensure that your periodontal disease will not spread to other areas of your mouth. Periodontal Maintenance and Cleanings – These deep cleanings go above and beyond a routine dental check-up. They enable us to clean and sanitize the periodontal pockets that are formed between the teeth and gums. After a thorough cleaning, bacteria are less likely to build up and cause issues. Scaling and Root Planing – This procedure involves comprehensively cleaning the pockets between your teeth and gums and removing any bacteria, plaque and calculus below the gum line. The gum tissue is then encouraged to re-attach to the teeth in an effort to minimize the size of the pockets. Bone Grafting – If bone loss due to periodontal disease is apparent, a bone graft may help. Bone grafts are done by taking bone from another area of the mouth, or from a human or animal donor. This avoids tooth loss. Osseous/Flap Surgery – If the tooth root and bone has become pitted due to advanced periodontal disease, osseous surgery may be required. This surgery allows us to smooth the rough areas of the tooth where bacteria hide. It is called “flap surgery” because the gums are pulled back to give the dentist access to the tooth and bone. Did you know that we can now use laser technology to make dental appointments much easier for patients? Dr. Kelley and his team have adopted the latest laser gum therapy techniques to give you incredible results with no discomfort! You will love the way you look and feel after every relaxing appointment! Remember the days when dental equipment was mainly metal-based? Many patients felt discomfort during procedures, leading them to stop making appointments. Now, we can ensure that you will feel as comfortable as possible with laser gum therapy solutions! The WaterLase® laser from Biolase has transformed the typical dental experience! Discover for yourself how incredible this technology is! As jets of highly-pressured water clean and sanitize your teeth and gums, you will begin to positively change your view on what it means to get dental treatment. When we first learned about the WaterLase® laser, we were excited to bring the technology to our patients! As a laser dentist in Troy, MI, we use the WaterLase® laser on a regular basis. Because the water and laser combination is so powerful, we can thoroughly clean teeth and gums without pain. 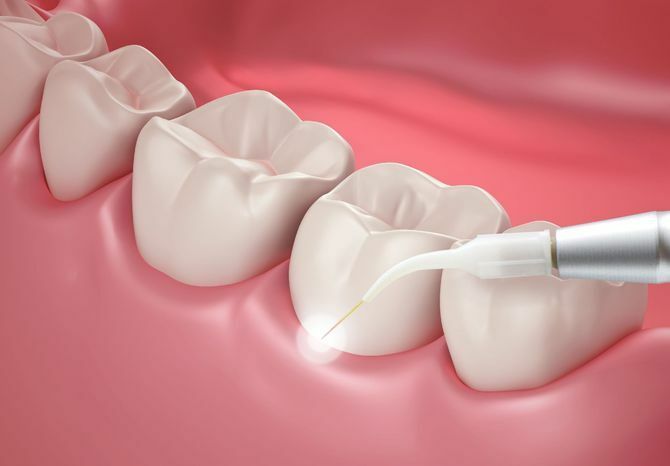 We can also help our patients with periodontal disease by providing laser gum therapy. With the WaterLase®, we can deliver exceptional results without needing any kind of numbing agents or sedation in most cases. It truly is the next generation of dental treatment tools! Call Dr. Kelley in Troy Michigan at (248) 828-3185 to make an appointment with a laser dentist in Troy, MI. It is state-of-the-art dental care for you and your whole family!